Basque Lecture Series, here we go! Last week the students and professors of the Center for Basque Studies once again started the Basque Lecture Series. This tradition, which began some years ago, is one of the most entertaining events during the fall semester. With these lectures the students learn confidence and skills for future conferences and symposiums. The feedback between the professors and students make these lectures something genuine. 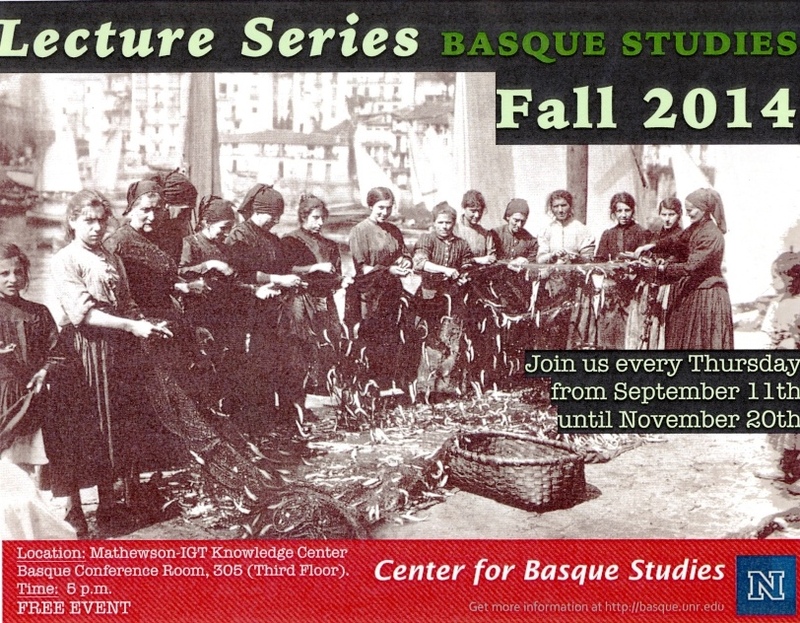 Through the last Thursday in November, every Thursday at 5.15 pm in the Center for Basque Studies (Basque Conference Room, 305, Third Floor), students and professors will give a lecture on a topic that they are researching.